In today's heated political climate, the question of communal responsibility is at the forefront of our national debate. In what ways is a community obligated to ensure the health, safety and happiness of its members? Find out how Judaism deals with the balance between individuals' obligations to care for themselves and the community's responsibility to ensure their basic needs. In this session, we’ll be exploring texts from Chumash that both explicitly and implicitly highlight individual silence. We’ll lean on select rabbinic commentaries which attempt to hear what these silent voices are saying (or not saying), and pair those perspectives our own parsing of the texts. Do All Lives Matter, or just Jewish Lives? What demands does having privilege make on us as we relate to others? In this class, we will mine through biblical and rabbinic texts that deal with the tension between loyalty to fellow Jews and commitment to the well-being of those outside of our religious communities. Though the class will not be political in nature, participants are encouraged to consider how the sources we learn may be relevant in light of current events. From Exodus in Egypt until the preparations to enter Canaan, the Israelite journey in the wilderness was more than just a long transformation from slavery to freedom. It was a journey of loss, growth, and renewal. Come join interfaith chaplain Ari Weber as we attempt to walk through 40 years of spiritual and emotional experiences through the eyes, ears, and hearts of the Israelites. 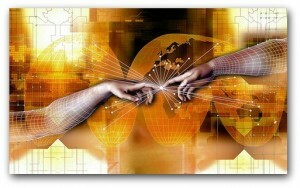 Over the 4000 years that we have been thinking about G_d, our technology has come along way. Together we'll explore how changes in the technological landscape affect our beliefs about G_d, holiness, and each other. I’m Not An Imposter, YOU’RE The Imposter! You're not the only one; the Rabbis of the Talmud also had that little voice in their head saying, “You’re a fraud!" "Who gave you permission to revolutionize Judaism?” It might have asked, "Who do you think you are?" The very human stories of our Sages reveal feelings of self-doubt as they vied for their place in the chain of tradition, and fought to gain authenticity and authority. Together, we will explore the moving and enduring emotion of these stories, and look at how the Rabbis dealt with their Imposter Syndrome. Serah bat Asher is mentioned only three times in the Torah, but the midrashic tradition gives her a central role in the history of the Jewish people. “Songster, poet, and woman of wisdom,” as the Bible scholar Rachel Adelman describes her, Serah demonstrated the remarkable capacity of art to both transform and tell the truth. In this class, we will explore the legacy of this lesser known Jewish figure, and what she can teach us about the power of art and beauty in our times today. How did the sages respond to people whose minds or bodies worked differently from their own? This class will explore ways that rabbinic texts view various types of differences and disabilities. We will aim to glean wisdom from these texts to uncover how our communities can become more inclusive today. Is Prayer Only for Men Without Children?! For the majority of its history, Jewish liturgy has been developed by (and primarily for) single men or men whose wives were taking care of the kids. In this class, we'll look at the relationship between prayer and children, asking whether and how it is possible to imagine a liturgy built on the assumption that the whole family is going to shul.